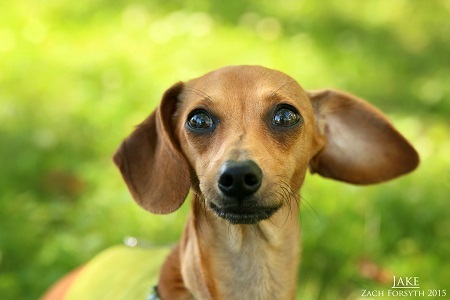 Are you looking for a sweet Dachshund mix pup that needs a loving home? Here I am! My name is Jake and I have a sensitive heart that is looking to bond. I am only 8 months old and do need some extra confidence boosting. For this reason a home without small kids would be ideal. I’m good with other dogs (especially my size) and will love to attend puppy classes to keep up my positive socialization. I am playful and loving and in a patient home I will come out of my shell in no time and you will see all of my best qualities! Want to meet me? Fill out an application at pixieproject.org so we can schedule a meet and greet. I am fixed, vaccinated and microchipped. My adoption fee is $250.